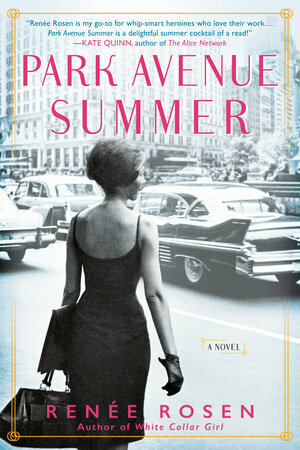 Saturn favorite Renee Rosen will join us to discuss her newest historical novel, Park Avenue Summer. It's the summer of 1965, and Helen Gurley Brown is poised to resurrect the failing Cosmopolitan magazine. She quickly realizes that she's actually been set up to fail - but that won't happen if her new secretary Alice Weiss, a plucky aspiring photographer, has anything to say about it. HGB is the star of every room, but this is actually Alice's story, set against the dual backdrop of glamorous Park Avenue and the burgeoning women's rights movement. And you'll cheer Ali on as she navigates it all to have to become a true Cosmo Girl. Bring your inner Cosmo Girl and join us for a fun evening! Tickets are $5 each and redeemable as $5 off of any purchase the evening of the event.